Città Bianca Country Resort is our oasis of peace and tranquillity, far from the chaos of the city and the frenetic pace of daily life. 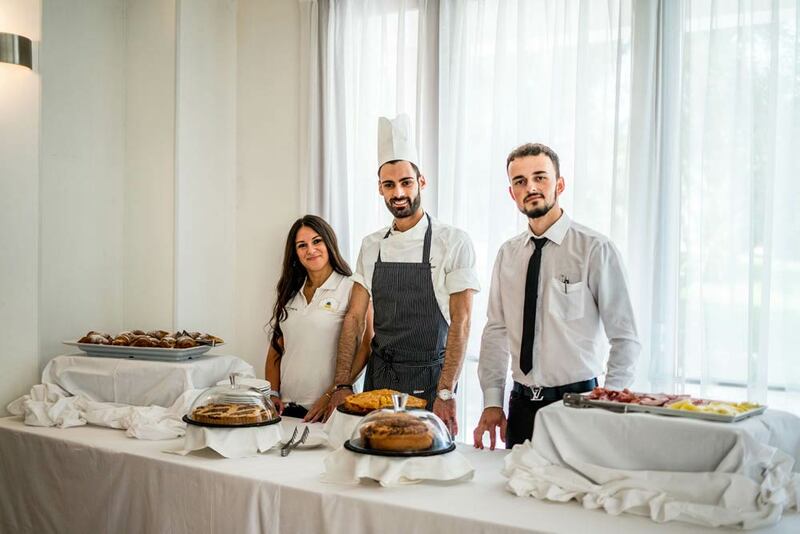 A refined and elegant structure, immersed in 4 hectares of olive groves and with an organic garden that gives us every day the fruits and vegetables that we bring to your table. 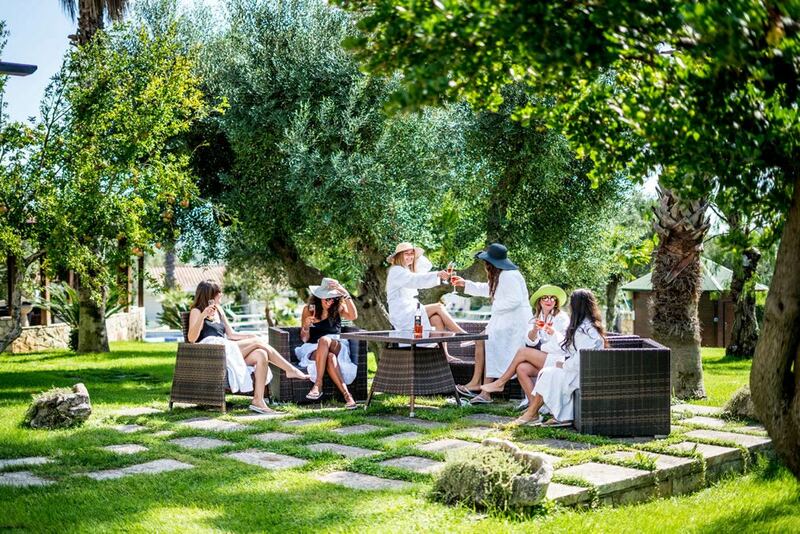 Our resort is located just 3 km from Ostuni, surrounded by trulli and farms and a few minutes from the most beautiful beaches of Upper Salento. Our guests love us for our well-kept garden, for the beautiful outdoor swimming pools designed for children and adults, and for our holiday philosophy that we try to convey in every detail: with us you will find relaxation and “slowness,” to fully experience every moment. Our cuisine is prepared with creativity and fantasy, while always respecting our local traditions. 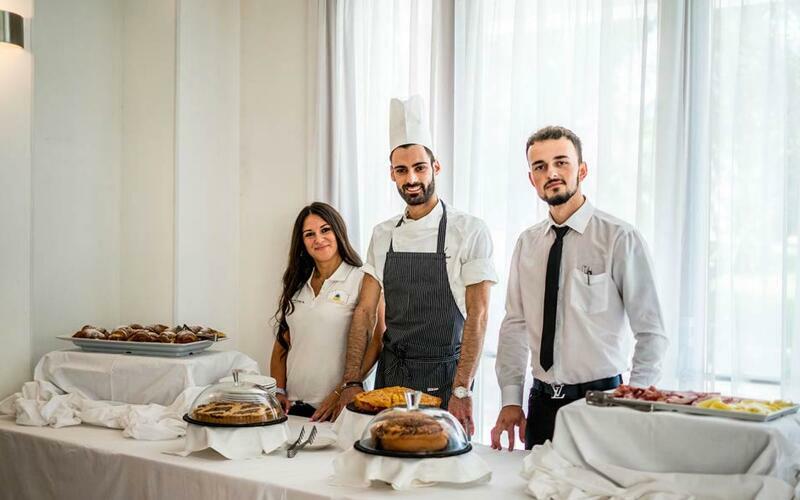 For breakfast we offer a rich buffet of sweet and savoury dishes: make your own dish and take your time, you can have breakfast at the hour of your choice, surrounded by the greenery of the garden. Have you ever tasted the Apulian focaccia? With us you will find a revised, gourmet, version, are you curious to know what makes it so special? 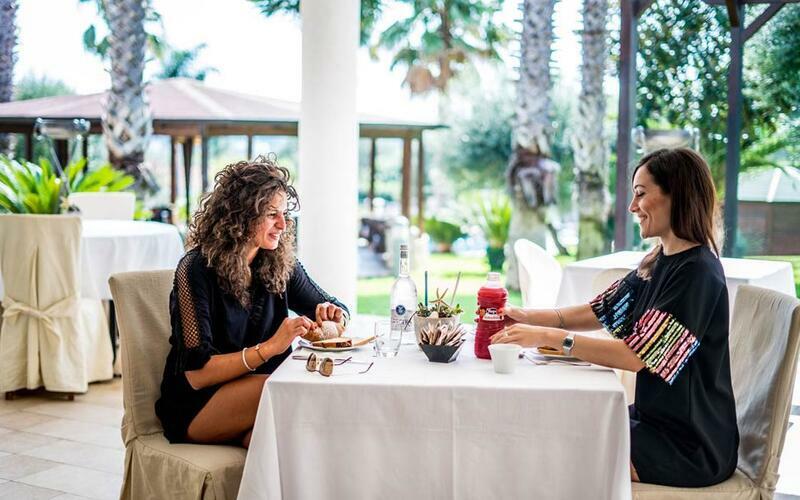 For lunch and dinner, we will expect you on the terrace, here you can enjoy the soft breeze and order your favourite dishes from our daily menu. Your meals will always be served at the table and enriched with a tasty buffet of vegetables and side dishes. Less than 2 km from our resort is the Ostuni Adventure Park: the largest adventure park in Apulia, designed for adults and children from 3 years up. Activities include tree climbing, Tibetan bridges, footbridges and numerous tree to tree flights suspended on a rope. For the older and braver we recommend the exciting Volo del Gheppio, a flight along the meadow measuring over 300 meters with helmet, harness, pulleys and karabiners! There will also be more relaxing excursions and nature trekking, exciting carriage rides, archery and orienteering courses, and visits to a farmhouse and beekeeping centre.